You just turned 55, and you want to withdraw money from your 401(k) plan. Are you allowed to? Maybe. It depends on whether you still work for the company that maintains your 401(k) plan. If you’re no longer working for that company, then it depends on how old you were when you left your employment with them. Still Working for the Company? Most 401(k) plans do not allow "regular withdrawals" at age 55 while you are still working for the company. A regular withdrawal means a withdrawal not subject to penalties, which does not require you to qualify based on special circumstances. Instead of a regular withdrawal, you may be able to take a 401(k) loan or qualify for a hardship withdrawal if your 401(k) plan allows these options. Not all 401(k) plans are required to offer loans or hardship withdrawals. You can also check with your plan administrator to see if they have a special provision that allows for something called an in-service distribution. If you want to take money out of an old 401(k) plan, meaning a plan from an employer for whom you no longer work, the rules are a little different. If you left your previous employer during or after the year in which you reached the age of 55, you can take a withdrawal from your 401(k) plan. This withdrawal will be considered taxable income, but it won't be subject to the early withdrawal penalty tax. It applies even if you are not yet age 59 ½. It also applies if you have left your money in your old company's 401(k) plan. For qualified public safety employees this provision applies at age 50, rather than 55. See IRS Retirement Topics on Early Distributions, and scroll down to the Separation form Service section and footnotes at the bottom for verification. If you rolled your old 401(k) plan to an IRA, this early-access provision does not apply. If you take a regular withdrawal from an IRA before age 59 ½, you'll pay income taxes plus an early withdrawal penalty tax. What If You Left Your Previous Employer Before Age 55? 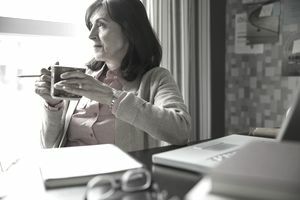 If you left your previous employer before you reached age 55 (age 50 for public safety employees as defined by the IRS), but now you are over 55, sorry, the special age 55 withdrawal provision does not apply. Any withdrawals you take will be subject to the penalty tax unless you can roll your 401(k) plan to an IRA and qualify for an exception to the penalty. Your 401(k) money is protected from creditors. You will void this protection by cashing in your 401(k) plan early. Even if you have some financial trouble, cashing in your 401(k) plan early may be the worst thing to do. If you retire early (before age 60 for example), in some cases, it can make sense to leave money in your 401(k) plan until you reach age 59 ½. In this way, you can take withdrawals if you need to. If you could retire at age 54, it might make sense to wait until the year you reach age 55. This way you have more access to your 401(k) money and can take withdrawals that are not subject to an early withdrawal penalty tax. If you are a beneficiary and inherited, a 401(k) plan the rules above do not apply. The rules that apply to you will depend on whether you were a spouse, or non-spouse, and the age at death of the 401(k) owner.